Sunshine Eco Cleaning Services is the leading cleaning company with many years of involvement in all way of carpet cleaning administrations daylight drift. We are so certain of the nature of our administrations that we ensure your fulfillment. We are resolved to give excellent carpet and upholstery cleaning administrations to the whole Carpet Cleaning Adelaide. Our carpet cleaners dependably assurance to give uncommon outcomes that are fast, reasonable and to an exceedingly elevated expectation. Rugs aren't only the main thing we have some expertise in, we likewise give proficient steam cleaning to tile and grout, floor coverings, sleeping cushions and significantly more. Carpet Cleaners Adelaide are the name to believe when you are looking for capable, legit and dedicated experts. Call us 044 966 4277. Armstrong Removals & Storage is a local family business with many years’ experience most of our customers are repeat customers because of our outstanding service we pride ourselves on being punctual and efficient and cost effective. 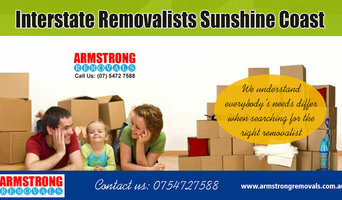 Come and try us let the team at Armstrong Removals & Storage save you time and money. At Sunshine Eco Cleaning Services we believe in keeping our clients happy by providing quality cleaning services in sunshine coast & surrounding suburbs. Our services include window, carpet cleaning, house, commercial, bond, industrial, builders cleaning and all other cleaning services. Service areas include Sunshine Coast, Brisbane, Adelaide, Sydney & all other major suburbs. With over 12 years of experience in domestic & commercial cleaning, we can do any job to perfection. Flexible, tailor-made cleaning packages to best suit our clients’ needs. Effective communication with management and staff to ensure consistent quality. Honesty, Integrity, and Reliability is our motto. Are you looking for the best carpet cleaning service provider in Sunshine Coast? Come to Sparkling Cleaning Services for the best results. Working for more than a decade in the industry, we have become a reputed and reliable carpet cleaning company. Most known for professional carpet steam cleaning, we make sure your floor coverings are sanitised in an efficient way. Another deep cleaning method our experts for carpet cleaning Sunshine Coast includes carpet shampooing. The procedure we apply is completely safe and effective in comparison to the prices. The team of sparkling Cleaning Services also offer carpet stain removal services which means a complete package for your carpet restoration. So, wait no more, pick your phone and hire our professionals for carpet steam as well as carpet dry cleaning on 0414530372. Or you can reach us out online to get the free quotes. OZ Clean Team is a leading provider of carpet cleaning, Sunshine Coast based OZ Clean Team specializes in all forms of carpet cleaning services. Sunshine Coast turns to OZ Clean Team for better cleaning services that are unmatched in terms of quality. What's more, client satisfaction is our top priority! OZ Clean Team’s Carpet Cleaning Sunshine Coast team goes the extra mile to beat your expectations. We have many years of experience in professional carpet cleaning and steam cleaning in Sunshine Coast and we use the best cleaning tools and most advanced techniques. We clean all types of carpets using steam technology, leaving everything germ-free and deodorized. The cleaning solutions we use are child safe and also eco friendly, yet effective in removing dirt and stains from your carpet. If you need immediate same day help, give us call @1800260601, we'll be happy to fit you in and our policy is to always arrive on time not to mention the 100% cleaning approval guaranteed. Premier Window Cleaners offer full service window cleaning for both residential and commercial across the Sunshine Coast. New Life uses a truck mounted machine which makes the highest quality steam to clean deep down dirt and vacuum it away. Freshen up your carpet and remove tough stains with a professional carpet clean. We also revive tired and dirty, tiles, stone and grouting. You will instantly see the difference. Servicing the Sunshine Coast, we are well known for our professional, friendly and efficient service. Ask us about our competitive commercial cleaning rates with quality results guaranteed. If you have a dirty carpet with stains and spills, Tip Top Clean Team has something for carpet cleaning Sunshine Coast. 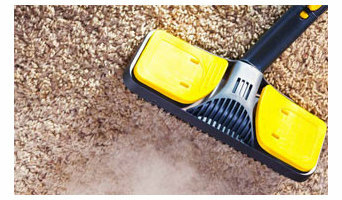 We have various treatment available for carpet cleaning in Sunshine Coast at the cheapest carpet cleaning Sunshine Coast. We have special types of equipment for dry cleaning Sunshine Coast. Reach out to us for better carpet cleaning Sunshine Coast experience. We promise you to deliver the best carpet cleaning Sunshine Coast at cheapest carpet cleaning Sunshine Coast. Managing the cleanliness of your carpet starts with outside areas where most of the dirt comes from. Keeping the outside areas close to the home clean minimizes the amount of dirt which comes inside. 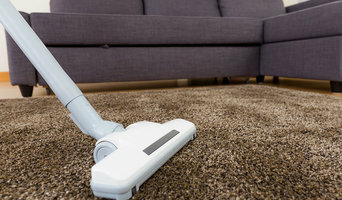 Whether you want services for Carpet steam cleaning, Carpet dry cleaning, Carpet shampooing, Carpet stain removal, Water damage restoration carpet cleaning SUNSHINE COAST, cheapest CARPET CLEANING SUNSHINE COAST, dry cleaning SUNSHINE COAST, Along with efficient, our Oops cleaning services are affordable also. So why go anywhere else when you can have it all under the single roof. Hire our Oops cleaning services today and get rid of that dirt from your furniture in no time. Allseasons is a family run business in Maroochydore that has been servicing the region for more than 20 years. We are a local success story and have grown to be the largest privately owned Carpet Cleaning and Pest Management Company in South East Queensland with 15 vans servicing our customers daily. We pride ourselves on the quality work we do, the outstanding customer service we offer and we support this with our extensive quality control procedures and money back guarantee. When choosing to use Allseasons, you can be confident you will be dealing with the most professional Carpet Cleaning and Pest Management Company in the industry. To ensure customer needs are being met, representatives, like myself, are continually being informed and updated in regards to new products and techniques so we can provide you with the class of service you need and expect. All Seasons accreditations are in accordance to Australian Standards for upholstery and carpet cleaning together with Australian Environmental Pest Management Associations laws and regulations for pest Control procedures. Are you looking for greatest carpet cleaning Sunshine Coast Company with specialized carpet cleaners in Sunshine Coast? We clean quick, safe and eco, we have general knowledge cleaning all types of carpets by methods carpet dry clean, carpet steam cleaning and spot removal system. We strive to offer fast, reliable service without delay. If you need help now, we will do our most excellent to timetable an appointment in the near future. Along with this, our staff will show up on time and be ready to work from the moment we arrive. Our technicians have the combination of industry-top cleaning knowledge and the understanding as well as the skill with the right our industry standard training. Furthermore, at Back 2 New Cleaning, our careful and well-organized carpet cleaning service is available 24/7 throughout the Sunshine Coast. Have you ever tried to clean an entire carpet on your own? Then you know very well how annoying and time-consuming this domestic task can be. But you don't have to spend an entire day trying to clean a carpet – you can easily avoid doing this by simply allowing the professionals to step in. If you are looking for the best carpet cleaners Sunshine Coast is where you will find them! Whether it is stains and blemishes, or just a build-up of dirt and grime, our carpet cleaning in Sunshine Coast is the ideal solution, delivered by the most skilled and knowledgeable carpet cleaners in the industry. Your expensive carpeting will be handled by well-trained, qualified professionals with years of industry experience. The best tools and equipment will be used to remove signs of wear and tear, clean up heavy stains, dust and debris! If you value your carpets, and want to receive the best service in the area, call our Carpet Cleaning Sunshine Coast team @1300302205, and let our carpet cleaners to handle this boring job! Sunshine Coast Carpet Cleaners is a team of capable, knowledgeable and fully vetted cleaners. All of our employees have considerable knowledge in the specialized domestic and commercial cleaning of carpets. We make use of the most powerful tools on the market – hot water extraction machine – ensuring an exclusively high quality of cleanse. All of our cleaning services are supplied by market-leaders. They are secure for small children, pets and the surroundings – as well as being remarkably effective... You have come to the right place for truly expert carpet cleaning in Sunshine Coast. Sunshine Coast Carpet Cleaners lets you rely on the work of a small, close-knit group. And services which we never cease to develop and get better. A trusted local company giving both home and business carpet cleaning across the Sunshine Coast area in particular, we give specialist care for all fabric types. Are you looking to get your Carpet cleaned today? You are at the right place. Green Cleaners Team is ready to become your one-stop destination for your carpet cleaning needs, either for house/domestic or offices/commercial. With Carpet Cleaning Sunshine Coast, we work hard; to be on time, clean your carpets thoroughly and professionally. 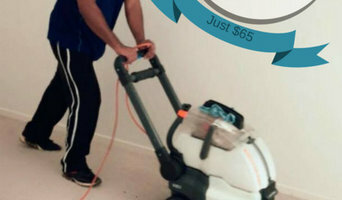 Our company provides the cheapest prices for carpet steam cleaning services in Sunshine Coast. We provide the quickest and professional carpet cleaning service to our Carpet Cleaning Sunshine Coast customers with 100% satisfaction. Our aim is to provide you with the nicest cleaning service you will ever have! Our goal is your bursting satisfaction, backed by our well-known most excellent job or your money back guarantee by Green Cleaners Team Company Carpet Cleaning. Residential cleaners in Sunshine Coast, Queensland can provide routine cleaning, deep cleaning and end of lease cleaning. A routine service typically includes general tidying up, wiping down surfaces, dusting, sweeping, mopping, vacuuming, window cleaning and toilet cleaning. Microwave and oven cleaning, laundry and the cleaning of outdoor areas are usually additional extras. You may not have the time in between packing up and moving house, but a housekeeping professional can also provide end of lease cleaning, which typically includes everything from carpet cleaning to oven cleaning. 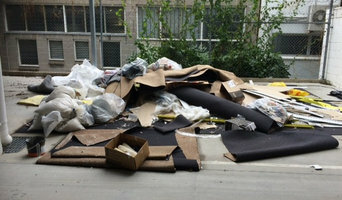 Find companies in Sunshine Coast, Queensland that provide skip bin hire, cleaning or rubbish removal services on Houzz. Scroll through this page to find a domestic cleaner, rubbish removalist or furniture removalist in your area. Just enter your suburb at the top of this page to narrow your search. Get contact information or message professionals directly so you can ask about rates, and read customer reviews.